September has been a busy month for Google and Bing with 19 official updates with the big news coming from Google on bringing their business in-line with a EU anti-trust order. Starting with the big news from Google this month. Google were given until September 28th 2017 to bring their processes in line with an EU antitrust order, or face a further fine of up to 5% of its average daily worldwide turnover. The company have now updated the shopping results to make sure they treat their own shopping services equally to other shopping comparison providers when they bid for ads at the top of a search page. For more details on this you can read the update from Google here. With all AdWords app install campaigns being moved over to Universal App Campaigns (UAC), in this update Google gives some information on how this new area can be used for optimising in-app actions. They do this by highlighting features such as being able to track journeys in-app and that information being sent back to AdWords. This information will let you understand how users interact with your app as well as giving you tips on how you can optimise to make those users take desired actions. In this post Google highlight the importance of video in engaging audiences and announce four new tools they are launching to help marketers leverage the tool to their advantage. These new tools will let brands understand and reach the right audiences with their Custom Affinity Audiences tool, enable custom video creative to target different viewers with the launch of Director Mix, create engaging and ongoing stories over multiple ads with Video Ad Sequencing and a global new way to measure sales lift with Nielsen MPA (Matched Panel Analysis). All details on this update can be found by following this link. Sometimes calls are the most important sales, marketing and customer experience route for a business, due to this fact Google have seen a rise in advertisers using call-only ads. To boost the effectiveness of these adverts they have now introduced ad extensions that let advertisers add further information to adverts in order to get people to take action. These come in three types including location extensions, callout extensions and structured snippets. The full update and all details on these new extensions can be found here. Learn more about the Merchant Centre updates here. Understanding that all businesses have different data and reporting needs, Google have announced that they will be letting users create and view a central dashboard that will let you give a snapshot of data trends and movements in a single place on AdWords. You will also be able to share these dashboards with your team, giving your whole organisation an insight into crucial information. For info on how these will work and how to create your first dashboard you can read the update here. Furthering the conversation on using the tools within Universal App Campaigns (UAC) for optimising in-app actions, in this update Google give a number of tips on how to get more out of UAC with creative assets. Giving some tips and ideas around upping the number and variety of creative assets in campaigns, getting insight into the performance of those creative assets and optimising your asset mix with the Creative Asset Report. More details on these tips can be found by reading the full article here. Citing the fact that for every second it takes a retail website to load, conversions fall by up to 20%, Google highlight the importance of fast web loading. Pairing this with the importance of mobile in online retail they remind about the announcement of the combining of Accelerated Mobile Pages (AMP) and search text ads. In this update, they give some tips on getting ready for this update. In this useful update Google highlight the major shopping events in all the countries in which they provide advertising services. They also take the opportunity to highlight some of the benefits of using their services in advertising in these countries. Want to build excitement around and upcoming event or sale? Bing are now offering customised count down timers with their paid ads. This will let you advertise an exciting upcoming event and get people engaged ahead of time. To learn how these will work practically read the post here. To read all the details on the dmexco event click here. In this update from Bing we see a brief overview of how they are working to improve ad extension management with account level association. Practically this means that you will now be able to edit ad extensions at the account level under the All Campaigns set up. More information on this improvement to ad extension management can be found here. 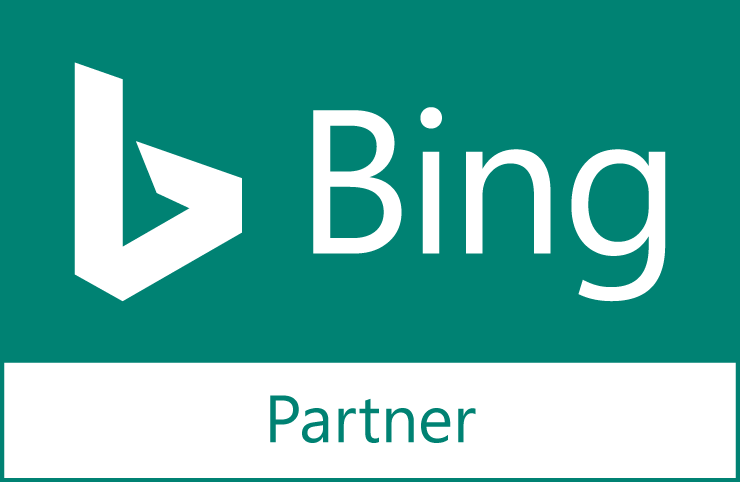 As previously announced, Bing continue their plans to clean up data related to content network that is no longer relevant on November 30th 2017. The update goes on to highlight exactly what this means for users. To understand further how this may affect you read the post here. Highlighting the fact that “Search advertising represents the majority of all ad spend today and is set to grow $60B by 2021. *” Bing use this post to give some tips and considerations for the future of search with screen-less search. To read the full article and view the infographic click here. In this post Bing take the opportunity to boast a little about the work they have been doing with OMD UK in advertising their clients premium brand DS Automobiles with a video case study. You can watch the video that covers off the success story here. Google have announced a major improvement to the way that Google Analytics data streams to BigQuery. For Google Analytics 360 clients they will now be able to send data up to six times and hour, meaning they can now make current day analysis. This is a 48x improvement over the current three times a day analysis. For more information on this update and what you can do with this new ability check the update here. For more information and other minor updated read the full report here. Google has announced that a new API will let you see where visitors to your website have crossed over or come back to Accelerated Mobile Pages (AMP) and non-AMP. Unlike before, this means that your web pages served by Google platforms and your domain can talk to each other and share data, therefore giving you a complete picture of user behaviours across the two platforms. Read the complete update on this new API here. As more and more sites move towards responsive design to cater for various viewing platforms, more developers are searching for ways to migrate from separate mobile urls (m-dot) to using responsive website. In this blog post Google give an outline of how this can be achieved.